Compuserve: it did all the web things, but before many people had heard of the web. Photo by James Cridland on Flickr. A selection of 12 links for you. They’re really linky. I’m @charlesarthur on Twitter. Observations and links welcome. Good. That’s an amazing abuse. Ads are bad, but they tend to load and sit there. (OK, maybe not video.) Actively parasitising someone else’s CPU crosses a line. Both models continue to include fingerprint scanners on the back while competitors shift to either integrating biometrics into the screens or using facial recognition to authenticate users. The Pixel phones are priced in a similar range to their rivals, starting at $649 for the small model and $849 for the bigger one. Nice, but Google’s supply chain is going to be severely tested again. Availability only in six countries, only on Verizon in the US. Are the AI benefits going to be pushed down to Android OEMs as Google Assistant was? It’s quite small, sort of cute, and is basically a cube with a big lens in the front. There is no display, or viewfinder, and it is meant to be used hands-free via an attached clip that doubles as a stand. It costs $249 and will work with iOS 10 and Android 7 or later. There’s no ship date yet. Yeah, so, here’s where the camera gets weird. The camera uses artificial intelligence to both evaluate picture quality and see if someone it “knows” is within view. If it decides that something is a good picture and it recognizes the subject (which could be a person or a pet), it takes a short clip — which can be saved as a video, a GIF, or as one of Google’s newly announced Motion Photos. You can also select still images if moving pictures are not really your thing. AI at the centre of what Google does; trying to make it a differentiator. Unlike Apple’s AirPods, the buds are connected by a wire that rests behind the neck. Similar to Apple’s popular earphones, the Pixel Buds cost $160, come with a carrying case that doubles as charger, and have five hours of battery. The case provides four charges over 24 hours before it has to be plugged in. The Pixel Buds let users listen to music but also have Google’s digital voice assistant built-in. A user can tap the right headphone to invoke Google Assistant, control music playback with their voice, and get directions from the company’s Maps app. The headset’s most show-worthy feature is a live translate mode, which lets users hand their phone off to someone speaking another language and that speech will automatically convert to the wearer’s native tongue and be played back by the Pixel Buds. That’s very clever. (I’m going to question how useful it will be to Americans, who will be the principal buyers, but the long-term application is wonderful. 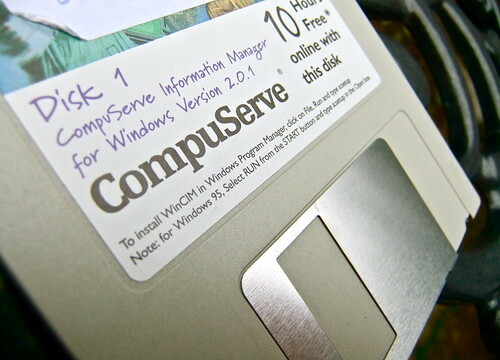 CompuServe innovations included large-scale credit-card authorizations, online research for Wall Street banks and online scheduling for airlines. In 1980 alone, CompuServe introduced real-time chat and the first online newspaper — The Columbus Dispatch — in which news flowed into home computers and users were billed in one-minute increments. In the fast-moving world of computers the competition was intense, not only to keep innovating but to get and keep talented employees. And that became the key to CompuServe’s eventual downfall. Russian operatives set up an array of misleading Web sites and social media pages to identify American voters susceptible to propaganda, then used a powerful Facebook tool to repeatedly send them messages designed to influence their political behavior, say people familiar with the investigation into foreign meddling in the U.S. election. The Web sites and Facebook pages displayed ads or other messages focused on such hot-button issues as illegal immigration, African American political activism and the rising prominence of Muslims in the United States. The Russian operatives then used a Facebook “retargeting” tool, called Custom Audiences, to send specific ads and messages to voters who had visited those sites, say people familiar with the investigation who spoke on the condition of anonymity to share details from an ongoing investigation. Facebook is in so much trouble. Google mocked the iPhone 7’s missing headphone jack in its marketing material for the original Pixel smartphone — but it won’t be doing the same for the Pixel 2. Just like Apple, the company has decided to remove the aging port from its latest handsets. A new leak reveals that the lineup will rely solely on USB-C for wired connectivity. A number of manufacturers ridiculed Apple’s decision to remove the headphone jack from its iPhone lineup last fall. Despite it being decades old, it’s still an incredibly common port that most people use regularly. Apple had to banish it to make room for new technologies. Most iPhone fans quickly adapted to life without wired headphones, and soon, rival smartphone manufacturers started following Apple’s lead. Now, it seems even those who mocked the decision are beginning to accept the headphone jack is dying. Sonos just announced that it’ll be adding support for Apple’s new AirPlay 2 standard to its speakers next year. In addition to making it easier to play music from iOS devices, AirPlay 2 means that — much like the recently announced Alexa support — users will be able to use Siri on iOS devices and eventually Apple’s HomePod to control their Sonos systems. AirPlay 2 also enables multi-room support for AirPlay speakers, meaning that you’ll be able to integrate Sonos devices with other AirPlay 2 speakers for a seamless experience across your home — including Apple’s HomePod, which was originally announced as a competitor to Sonos’ devices. It’s hard not to feel that Sonos is slightly desperately playing catch-up here. It’s very good at what it does (multi-room high-quality streaming speakers) but sound quality turns out to be something people don’t care about enough. Adding Alexa might be too late. The sewing machine, electric power, automobiles, acrylics, the zipper, the aircraft industry, the jet engine, the radio industry, the television industry, power steering, the helicopter, rocketry, cellophane, neoprene, air conditioning, the electron microscope, instant cameras, magnetic recording, fluorescent lighting, radar, the safety razor, stainless steel, and the world’s first cyclotron — these are just a few of the breakthroughs that came from entrepreneurs and startups. And those were just the industries created up to the 1950s when Jewkes wrote his book. To all the above, we must also add the trillion-dollar, world-changing industries of the last 60 years: the semiconductor, consumer electronics, personal computer, software, biotech, mobile telephony, and Internet e-commerce industries. Once again, all were created by small startups — and on the basis of a patented innovation, no less (more on that in a moment). Startups don’t only create breakthrough innovations and new industries. They also create jobs. Not just many of them, or even most of them. I mean, all of them! “Across the decades, young companies are really the heavy hitters of job creation,” Arnobio Morelix, an economist at the Kauffman Foundation, told The Times. In fact, startups have been responsible for literally 100% of all net job growth in the United States over the last 40 years. If you took startups out of the picture and looked only at big businesses, job growth in the U.S. since 1977 would actually be negative. Most installations are simple DIY things. I told a lot of people that I was going to watch Blade Runner for the first time, because I know that people have opinions about Blade Runner. All of them gave me a few watery opinions to keep in mind going in—nothing that would spoil me, but things that would help me understand what they assured me would be a Very Strange Film. None of them told me the right things, though. So, in case you are like me and have been living in a cave and have never seen Blade Runner before and are considering watching it, I will tell you a little about it. Assimilation is designed to be impossible. There are tests. Impossible tests with impossible questions and impossible answers. The tests measure empathy. It is not about having enough empathy, but about having empathy for the correct things. If you do not have enough empathy for the correct things, you will be murdered by a cop who does have empathy for the correct things. Plot 3D and 2D scattered and grouped bars Charts, Record stunning videos of 3D charts exploration, import CSV and Excel files from iCloud Drive and Dropbox, and Google Sheets. The video does make it clear at the start that it isn’t OCR’ing stuff on your desktop (how awesome that would be). Certainly this gives a glimpse of how AR could be useful in a work setting: view this through glasses connected to the phone, and your workstyle changes. How though do you then show workmates what you’ve done, compared to swinging a monitor at them? AR raises lots of questions about collaboration.